Being a truck driver is one of the best career choices for people who want big paychecks and a sense of independence in their work. We get questions every day asking for tips on how to become a truck driver. One of the first steps is getting commercial drivers license (CDL) training which can cost thousands of dollars. To help out with this high cost, some companies offer free (sponsored) CDL training at truck driving schools and tuition reimbursement. 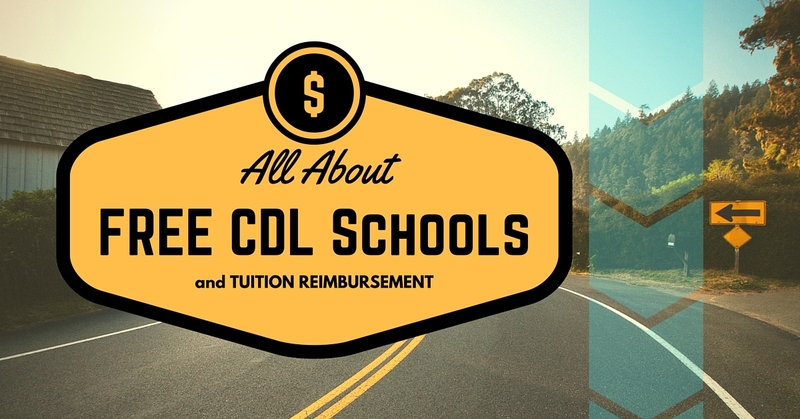 Sponsored programs include company-owned CDL schools, company-sponsored payment of a pre-approved program from a list of accepted schools and reimbursement through bonuses or weekly paychecks for tuition paid to an approved program. These are the most popular types of free CDL training which lead to student driver jobs. Each company below has a program or initiative that covers CDL training. To get started with one of the companies below, you can apply here. Be sure to select "No CDL" if you do not have your CDL. Shortly after you apply, you'll hear from companies that will help you get your CDL for the lowest cost possible. Details about the training will vary like how long the program lasts, school location and what type of commitment the sponsoring company seeks from drivers. When you apply using this application, you will be contacted with information about each program and you can choose the CDL training that is right for you. If you are already in CDL school and you want tuition reimbursement through a truck driving company, use the list of below. Tuition reimbursement programs will help offset the cost of training by adding money to your paycheck as a full time employee. Each company sets their own payment options. Check with a hiring manager or recruiter to approve your CDL school before you decide. To learn about tuition reimbursement programs when you have completed CDL training, apply here. After you submit your application, you will be contacted by companies with job offers. Compare their tuition reimbursement programs and then choose the truck driving job that's best for you! Get started by submitting your application here. If you do not have your CDL yet, be sure to select "No CDL." In a few minutes you'll be on your way to a new job!